Twenty-five percent of people won’t make a call on their cell phones this week, just another data point which reinforces the perception that voice is diminishing in value. In my numerous conversations with Jay Blazensky, Co-founder & Chief Revenue Officer of VoiceBase, I couldn’t help but think of how this perception is totally misguided. Why? His company is where voice meets cloud and machine learning. More specifically, newly launched VoiceBase Insights is smart machine technology, allowing predictive insights into business or any other field where voice or video is used. 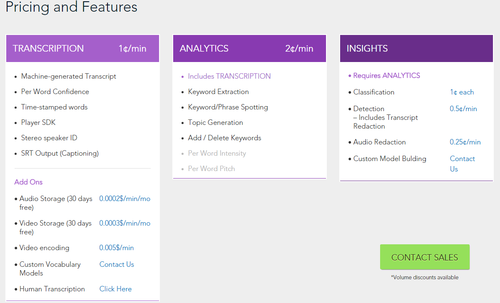 Their cloud-based voice indexing and discovery platform serves multiple markets. At a base level there is machine translation and then up the food chain is keyword analytics. Predictive insights is where most of the excitement lies. After a training period of a few thousand calls, the system can do some very helpful things like determine which customers are upset, which are first time callers, who is calling to cancel an appointment, who needs directions, which agents are rude and who is about to churn. This is the sort of data which organizations typically don’t have access to today. Going forward however, a company can see if their customer satisfaction rates via phone are improving or worsening on a daily basis. Some of the markets served obviously include call centers as well as conferencing, hosted PBX, recruiting/hiring as well as transcribing podcasts and videos. In addition, Jay explained that archives can be processed more slowly to save money – explaining that this sort of flexibility is their secret sauce which he believes makes them disruptively competitive. Transcription costs one cent per minute and analytics costs two cents per minute. It isn’t difficult to understand why he is so excited about this company as he explains how business processes can now be automated thanks to the ability to determine the type of call a customer has made. Once determined, companies can provide offers, win-back promotions and a variety of other responses to predetermined behavior. The technology can also be used to figure out how good sales leads are. For example to do A/B testing between different lead-generation vendors. The bottom line here is even if people are using their phones less, the calls being made to businesses are likely more important and urgent than ever. In addition, many companies have massive archives of audio and video content which can now be inexpensively transcribed and analyzed. The concept of big voice is certainly an intriguing one – allowing for the power of big data to be applied to first form of communications ever used by humans. 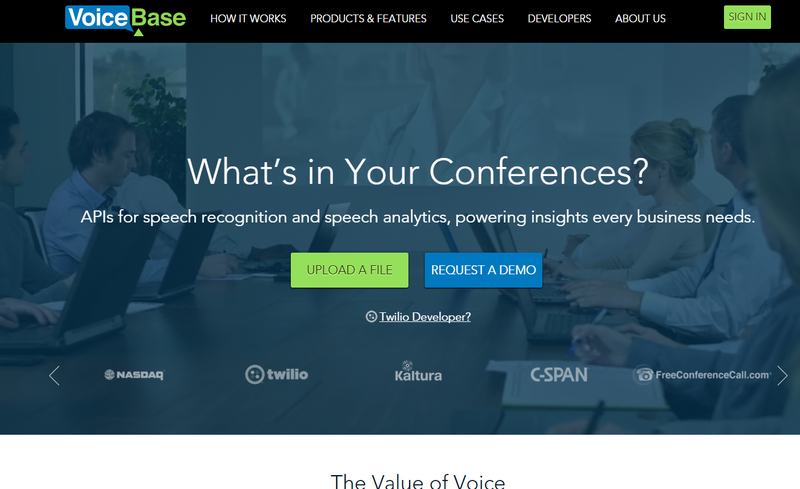 With Voicebase, the power of voice can be applied to really automate and streamline how business operates. Speaking of APIs, my company TMC has launched All About the API - the one conference you need to attend to learn about the incredible future APIs hold for your company and the tech ecosystem as a whole. See you July 18-21 in Las Vegas.